Making format changes to magazines after many years of an established standard always ruffles the figurative feathers of a significant portion of regular readers. Two magazines I read monthly, Model Aviation and QST, recently underwent a format change - both of which I considered very nice. However, reader comments in the aftermath showed a few who were not impressed. 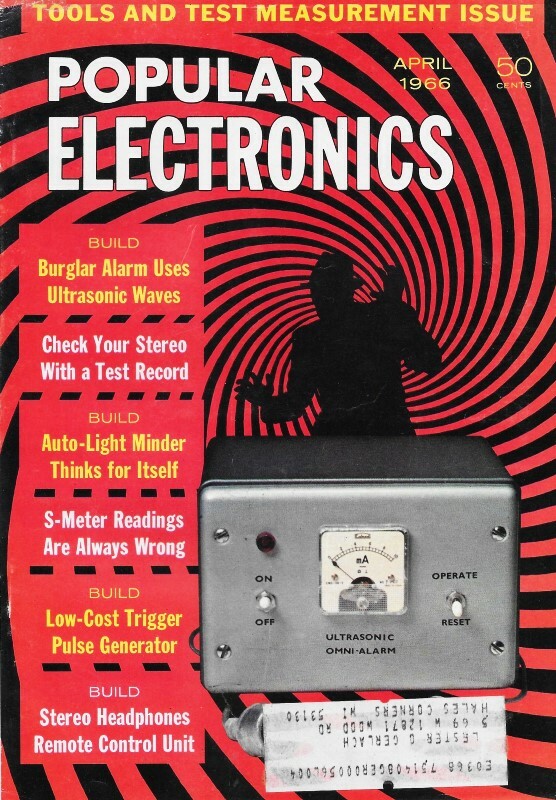 Popular Electronics magazine in 1966 made announcements regarding plans to adopt some of the newer base units for physical measurements, including this one for beginning to use "Hertz" (Hz), along with its various numerical prefix forms, instead of "cycles per second" (cps). The editors give sound reason for it. Popular Electronics printed in April 1966 its first notice of new frequency units to be used beginning with the June edition. The May issue included a piece titled, "Comes the Revolution - or - '40 Million Frenchmen Can't Be Wrong'." Predictably, not everyone liked it. With the June issue came the promised change and along with it the first in a series of reader responses. Here is a reader's opinion from the August issue. Little did Heinrich Rudolf Hertz dream that someday his name would create havoc with magazine readers, editors, printers, and authors. If he were alive today, perhaps we could prevail upon him to change his name to Heinrich Rudolf Cycles. It might have sounded funny to Hertz, but it's no laughing matter to the electronics press. Starting with the June 1966 issue, Popular Electronics will join the trek to confusion and substitute Hertz for the time-honored and sen­sible "cycles." Popular Electronics is not alone in this changeover. Readers will find that this international term of reference is appearing in other books and magazines. The Institute of Electrical and Electronics Engineers (IEEE), consistent with the recommendations of the International Organization for Standardization (ISO) and with the work of the International Electrotechnical Commission (IEC), has adopted this standard. And if that isn't enough justification for its use, also consider that the Conference Generale des Poids et Measures has adopted it, too! Of course, "Hertzian" as a reference to electromagnetic waves went out of use several decades ago; just why it is being readopted has not been satisfactorily explained. Let's hope that "they" don't hit us next month with the metric system as a replacement for inches and feet.